Hervé Morvan, according to the title of this book, is the genius of French poster art, or at least one of them. Along with Raymond Sauvignac he made work that defined French commercial art from the 50s onwards. Morvan’s work represented Esso, Evian, Danone, Vittel and more; he made quaint illustrations to sell cigarettes and alcohol, film and music. 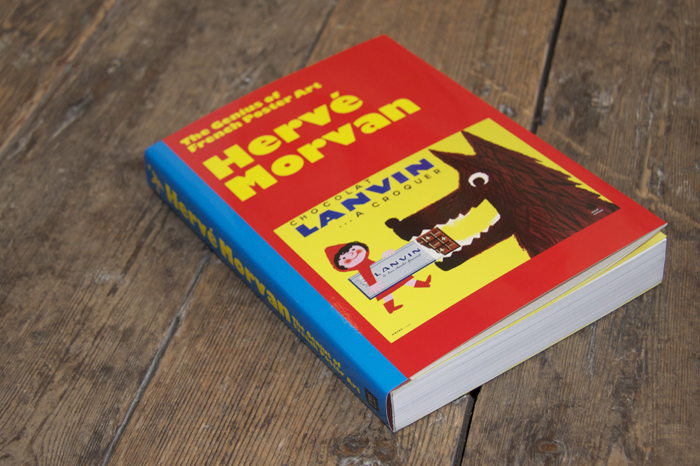 Conceptually light-hearted and visually playful, Morvan’s world was one in which wolves love chocolate and a cheese can have the farmyard so deeply ingrained that it contains a field. All this rendered in a primary colour palette, dotted with smiley children in simple compositions with elegant typefaces, this book is a sea-side holiday invoking great.